Friday last was St Patrick's day and there were a goodly numbers of Italians in the vicinity visiting for the festivities. So, perhaps, my hits yesterday with AngeloSalento and today with Gianmarco are courtesy of St Patrick. japh wrote: Friday last was St Patrick's day and there were a goodly numbers of Italians in the vicinity visiting for the festivities. So, perhaps, my hits yesterday with AngeloSalento and today with Gianmarco are courtesy of St Patrick. est-ce intéressant de prendre la Firenze card ? is the Firenze card interesting ? In Bologna you can visit Major Place with San Petronio church, Santo Stefano church with the seven churchs, you can see the two towers and if you want you can go up to the big one, San Pietro church in Via Indipendenza. If you have time you can go to San Luca that is a sanctuary to the first Bologna hills by feet or with the bus. Please don't eat "spaghetti alla bolognese"!!! but tortellini or tagliatelle!!! Enjoy Bologna!!!! Villmools Merci fir dësen schéinen Hit! Grazie Mille per questo grande hit! Hi. I was in Venezia recently and I'm confused with the correct postal code for Burano Island. It seems that the correct postal code is 30142 but I'm not sure if Burano is an independent city or if it is part of the city of Venezia. When I search the CAP for "Burano" in the Poste Italiane, it tells me "BURANO" (VENEZIA) ha più di un CAP, but it doesn't give any CAP, even if I insert a street name. And to increase confusion, the coordinates of Venezia (30142) are pointing here. I try to search several web sites, but it is not clear for me. Can you help? Thanks. Castanhola wrote: When I search the CAP for "Burano" in the Poste Italiane, it tells me "BURANO" (VENEZIA) ha più di un CAP, but it doesn't give any CAP, even if I insert a street name. And to increase confusion, the coordinates of Venezia (30142) are pointing here. Burano island is part of the city (municipality) of Venezia. Hi. Thanks a lot for your kick answer. 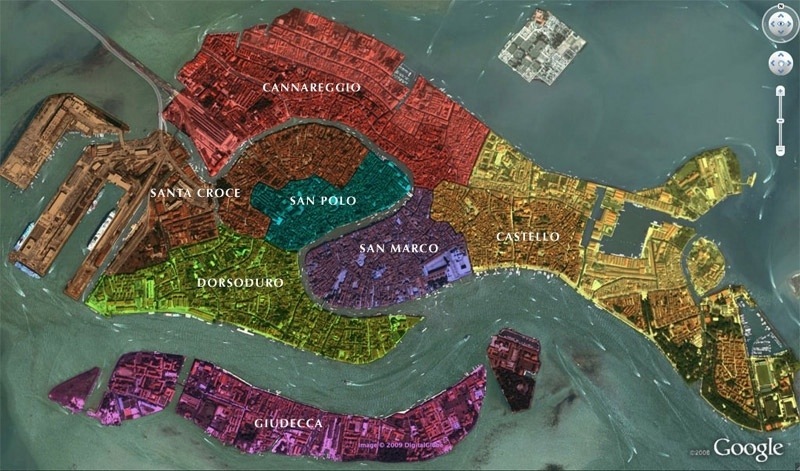 I was also on this page (your link) before, but I was confused with Giudecca di Burano. Should I enter the notes in Burano (30142) or in Venezia (30142)? Maybe the first one. Thanks again. I choose Burano (30142) because this location has the correct coordinates.